Ghrelin has high alanine, glutamate, alpha ketoglutarate that can derive from glucose. Hyperglycemia as a modulatorof Ghrelin level? ghrelin associated positively with diabetes mellitus. Collectively, these findings demonstrate that uncontrolled diabetes increases both circulating ghrelin levels and behavioral sensitivity to ghrelin. Ghrelin is a novel gastrointestinal peptide that stimulates growth hormone secretion, food intake, and body weight gain. 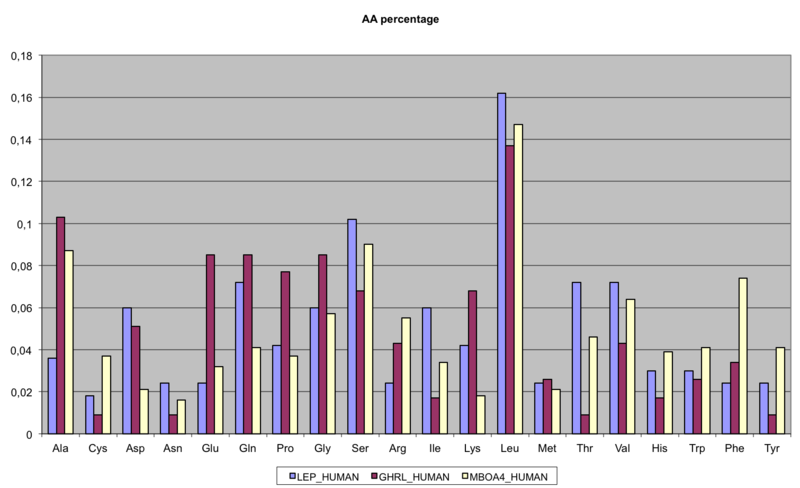 Increased ghrelin secretion has been reported in such negative energy states as starvation and low body weight. We investigated the dynamics of ghrelin in rats with streptozotocin-induced diabetes, because they present reduced body weight and hyperphagia. 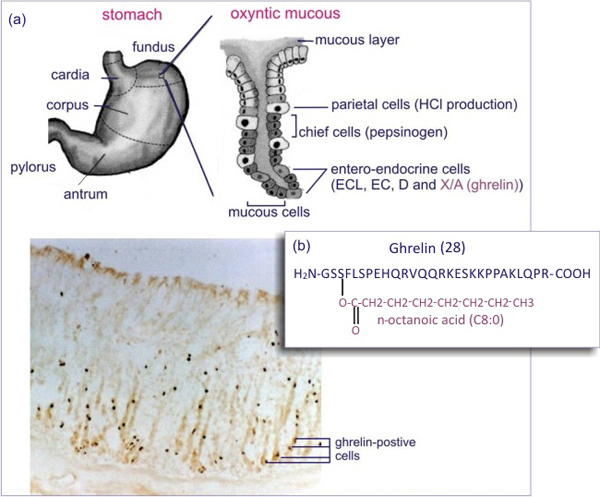 The plasma ghrelin levels and gastric preproghrelin mRNA expression levels of the diabetic rats increased significantly and their gastric ghrelin levels decreased significantly. Negative energy balance may enhance preproghrelin mRNA expression and ghrelin secretion into the bloodstream. Historically, AG, usually referred to as ghrelin, has been considered the only active form of the peptide. It recognizes the Gq-coupled growth hormone secretagogue receptor type 1a, denoted as GHS-R1a (2), mediating its growth hormone–releasing properties as well as other significant neuroendocrine actions. In contrast, UAG does not bind the GHSR1a and is devoid of growth hormone secretagogue activity. Nevertheless, both AG and UAG share affinity for common binding sites that mediate vascular activities in terms of vasodilation and inhibition of cardiomyocyte and endothelial cell apoptosis. Furthermore, UAG effects, different from those elicited by AG, have also been demonstrated, suggesting the existence of an additional unidentified receptor for UAG. Among such complications, accelerated vascular disease is widely recognized as the major cause of disability and death in individuals with type 2 diabetes. Endothelial injury is thought to represent a crucial step in the initiation and progression of atherosclerotic vascular disease in this setting (13). Previous data support the central role of advanced glycosylation end products (AGEs) (14) and of NADPH oxidase–mediated reactive oxygen species (ROS) production in impaired vascular remodeling associated with diabetes (15). NADPH oxidase (Nox) consists of a membrane-bound catalytic subunit and several cytosolic regulatory subunits (p47phox and p67phox). Moreover, the GTPase-bound Rac1 is required for the functional assembly of the holoenzyme (15). 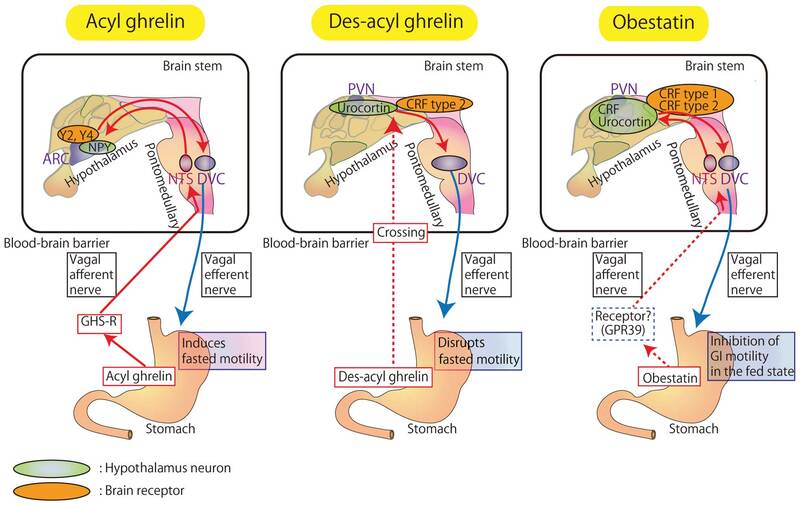 Ghrelin stimulates food intake by acting primarily on the arcuate nucleus of the hypothalamus. 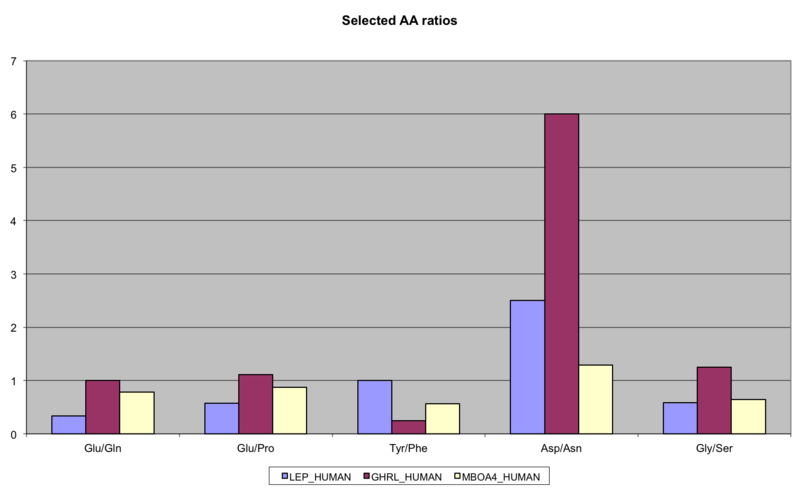 Ghrelin also exerts adipogenic activity, and is involved in the long-term regulation of body weight . Administration of ghrelin induced body weight gain and adiposity by stimulating food intake and reducing fat utilization and energy expenditure. 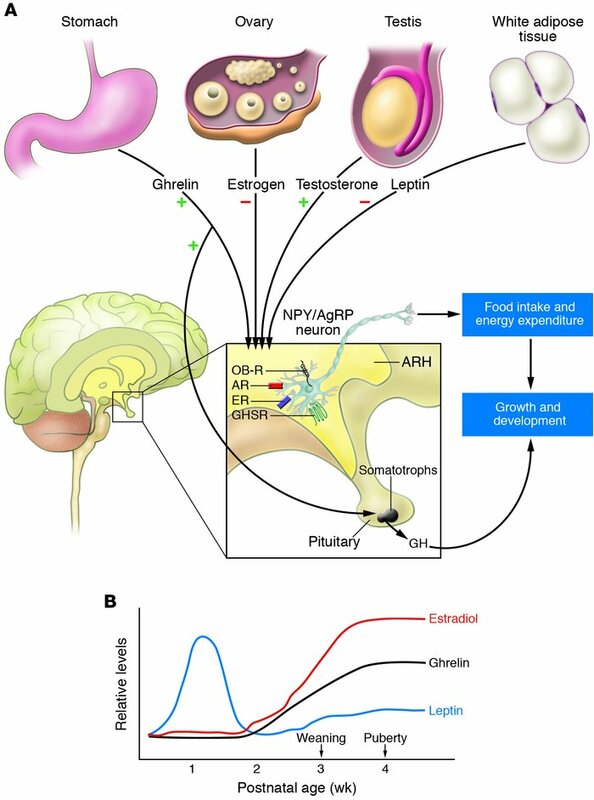 Considering that ghrelin is involved both in short-term regulation of food intake, by stimulating appetite, and in long-term body-weight regulation, by inducing adiposity, the presence of this hormone in breast milk could be one of the factors through which breast-feeding may influence infant feeding behavior and body composition later in life. furthermore, ghrelin release is stimulated by acetylcholine. 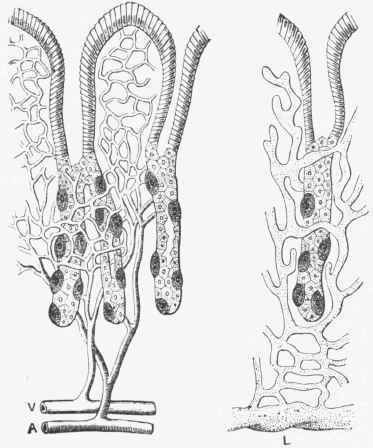 Stimulants of acid secretion include histamine, gastrin, acetylcholine, and ghrelin.